The raison d'être for blockchain technology is to help people from all over the world to better realize and take control of their own finances and empowering a wider network of social engagement through access to technology. As the technology and movement develop, it requires the creation of new technologies and governance concepts that can better enable the potential of these advances to be realized. This remains one of my primary motivations for the work I have done in this space thus far. It is larger than simply finance or technology, it is about values and our collective drive to create a better future for the next generation. BitShares was originally conceived as a way to give all people the ability to quickly generate and trade tokens without the bane of middlemen. Steemit was a similar revolution in social media. EOS takes that all to a whole new level of self-governance and self-defined smart contracts. BEOS is EOS for business, giving businesses the ability to operate in selected jurisdictions of their choice. Sovereign Sky puts BEOS into the international jurisdiction of space where users can enjoy freedom from stifling earth-bound regulation. Its goals are to project a new and free financial platform to all the earth, bringing new levels of prosperity to parts of the world cut off from the current global financial system. Auton.io is a project that is aiming to realize this vision within the crypto trading industry. By taking financial technology that has long been the province of legacy financial institutions and giving it away to regular people, Autonio is working to help larger populations take control of their own finances. Technologies such as algorithmic trading and sentiment analysis are powerful tools that have largely been confined to investment banks, mutual funds, and wealthy individuals. These are powerful tools when used effectively and their usage has become the dominant force in legacy markets over the past two decades. Unfortunately, they remain largely out of reach to most people without a significant amount of wealth or coding experience. This is an inequality Autonio is seeking to change by putting these tools in the hands of as many people as possible. As they progress from a paid subscription model into a new "freemium" model it will enable users to gain experience with the tools before making a monetary commitment. This will mark an important step into making that vision a reality. Ali Raheman, the CEO and co-founder of Autonio calls this the Prosperism model. It is designed to create a frictionless crypto sharing economy that grants open access to these tools for a worldwide community. By working to create trading tools that run on a variety of platforms and operating systems and minimizing the friction between users and technology, it is possible to create an expansive ecosystem that allows all its participants to grow and develop. Autonio's vision for their technology though is one I believe aligns with my own ideals and those powering Sovereign Sky. For this reason, I am looking forward to supporting the Autonio project and becoming an ambassador for Prosperism. Autonio has already adopted BitShares as a major supported platform, which means that it will soon support BEOS and, through that gateway, the greater EOS ecosystem. 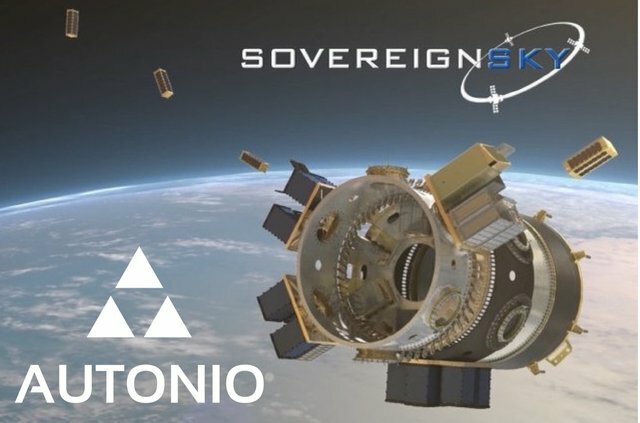 As Sovereign Sky projects BEOS into space and back down to the whole world, Autonio's algorithmic trading technology will become an integral part of it all. I look forward to working with Autonio, making its technology an integral part of our Sovereign Sky vision to change how the world works; allowing everyone to participate in a new global prosperity based on enhanced financial freedom. Autonio seeks to level the playing field: giving everyday crypto traders the ability to compete with the larger players in the space who already employ algorithmic trading techniques. The promise offered by blockchain technology and decentralization is providing a more fair and just future for everyone. @stan this is neat. Unrelated question... Is Bench in limbo now? I am excited for BEOS. But I remember seeing some neat screenshots of the Bench app that seemed like it'd be a big boost to BTS. I think Bench is on hold pending Jared winning his court case. Very interesting. The autonio.io website isn't working yet. Stan, can you point me somewhere on line where we could meet for discussions about faith? Stan, it is an absolute pleasure and privilege to have you with Autonio!! Hi, thank you!! i put my nio there, lt s try, buy hey, you are talking about the backtest. If i wanna make money i need LIVE TRADING right? i have tried it and when press start only the symbol of autonio charging without nothing else..
Hi there! Backtesting allows you to test your strategies on previous market data. Live trading uses actual funds to trade with your strategies. Your performance in live trading will depend on your algorithm and market conditions. If you press start and you see the spinning triangles that means the app is working. You just need to wait for your first trade to execute. Depending on how long the time interval you selected is, it could be awhile before the triangles disappear and you see the line graph of the asset you are trading. If you have any other questions, you are welcome to ask in our telegram group https://t.me/Autonio . Hello Stan and Autonio, I just want to thank you, that people of the economic world, have these ideals: * create a better future for the next generation * it is really exciting for me this hope - already in action .. I thought about dying, without seeing Nobody doing something for humanity in general, and restructuring this System * so tremendous ..
May these profound ideals be an all-embracing reality. Thanks from millions of people, who hope to live with dignity on this beautiful planet..